The rumour mill of sending. Every time we hear that someone has sent something, the air is filled with questions. How long did it take, how many tries, how did they get that strong —- basically just how. If you are anything like me, you want to try and measure the success of others, well, to put it simply, in order to repeat it. But most sends are more often than not left to the climbing rumour mill rather than dotted with facts. So I decided to offer a breakdown of own experience at projecting thus far. Here I’ve written up my journal notes from each session. I found the process to be volatile extremely emotional. I’ve detailed each stage and mental and physical development throughout in case it’s of any interest. (If not skip to the video at the bottom). The first day we were just messing around. Kind of. This particular boulder is made up of two parts a 6c+ finish and a 8a start with 8 moves. It took me multiple tries and the session to even do the 6c+. Needless to say, it wasn’t going to well. Needless to say, I’ve never returned to a problem that showed such little potential…But for some reason this time I did. That reason is my friends. Psyche is contagious. If it wasn’t for the positivity of my friends, to be honest, I definitely wouldn’t have gone back to this boulder. No way. I’d never walked up to a problem and not been able to do a single move…and came back. I mean, how many of us do? Usually we turn away from failure, but sometimes trying to conquer it looks to unexpected things. It had been almost a week on the project and just as I was about to give up, Hope reared it’s ugly head. All of a sudden we had a break through. We were psyched. We did some moves. We did some more moves. Rumours were spreading around the campsite and a couple of other people were starting to try as well, beta was in a flurry. A few moves came together, and then all of the moves. Whoa. From no moves at all to all the moves in one session. It was an incredible moment. One that I haven’t had often in climbing. I felt like somehow I had gained the ability to speak to the rock. From not really understanding anything to my body making the shapes and movements separate of me. But as soon as I started expecting to do the problem, I started to get discouraged. The next few sessions we spent trying to unlock whatever microbeta we needed in order to make our bodies do these exact moves on command. My body understood what to do but my head didn’t. I couldn’t repeat moves I had done before. I was guessing with foot placements. Hope fades, frustration begins. I had that moment, that moment you say to yourself, I should have sent it then! I got through the crux, but pinged off a hold, from lack of skin or weakness, and couldn’t get back there again. A friend commented, ‘Well, if you’ve done all the moves, you should just be red pointing.’ He had a valid point. If you constantly rehearse each move, you may never see the problem as a unit. Of course there are stages to this, but gaining confidence on links is essential. But the problem with this boulder was the process was grueling. The start move was the hardest to execute. And then there were the split tips. I had had three by the time I sent, which I did with tape on my tips. The movements were dynamic until perfected, the rock like a gravel road, filing down skin on the hand, wrist, arm, fingers. So tiring, so exhausting. The boulder was really at my limit and I could feel it. Reverse progress. Split tips. Confidence fading. Questioning building.Normally exhaustion isn’t a problem, you just rest. But when you invest so much time in a boulder problem, having a bad session can mentally wear on you. Also after 5 or 6 sessions on something, other aspects of projecting came into play that I never considered – like spending so long focused on one particular move that you actually forget the beta from a different section. I got completely overworked. I was waking up earlier and earlier with the hopes of sending the project, but instead it was just making me more tired. All I could do is think about the moves. I felt like a schoolgirl with a crush on a boy that I desperately wanted to call, but I absolutely couldn’t according to my friend’s advice. And now I was filled with the all encompassing fear that I’d picked the wrong project, that it was too hard for me. I was nervous. The last time I went to the project, I was jittery, almost shaking, worrying about doing it right so much that I was completely unable to. Although the body can adapt to things, we have to remember that it can only perform at it’s highest for a short amount of time. Our tactics at the start were to work the 8A in the morning, then have an afternoon session elsewhere. I became increasingly exhausted. In almost 2 weeks, I had sent one 7A (and that’s not for lack of trying). My body was completely shutting off. Although improving in some ways, like performing moves that originally I couldn’t do, practising hard moves for hours before climbing all day made a recipe for exhaustion. So I took about 4 days off. Back on the project fresh, hoping for more, but only reaching my high point. The hardest thing to do is to stop and relax. I felt like this project became a learning experience about self-control and tactics, by learning how to truly listen to my body and give it the time for have maximum performance. Patience. I took another day and a half off. Conditions were perfect. But my body wasn’t performing. After a few hours of trying to warm into the moves, my skin was quickly shredding. We were running out of time, the sun was slowly warming the holds. It was almost unclimbable. But I couldn’t walk away from the dry cool wind yet. I gave it one last burn after hours of trying, hands covered in tape. By no means did logic say it was time to send. But it happened. It did feel ‘easier’ than the other times, things just worked more perfectly somehow. Each move had to be executed just right. I had to try hard. And scream a little through the end – no way was I letting go. And I was certainly never trying that again!! It’s the hardest thing that I’ve ever done and I can’t say that it was entirely enjoyable but I guess projecting is like comparing a one-night-stand versus a relationship. The more than you invest, the more worth that you receive in the end. At least that’s how it felt to me. I wish I had some secret to give away, but for me it really just came to, keep trying. To read more about my emotional process, see my other blog, Why You Should Start Projecting and Stop Playing It Safe. And as always thanks to Barrabes for their continued support. electric copper 8a/v11 from alice hafer on Vimeo. A little context: for me projecting my first 8A was a very emotional process. I don’t know how to describe this fully other than through this series of paragraphs. Not your thing? For details of the actual climbing, my blog on the session by session breakdown to climbing 8A is coming soon. Thanks for reading! (And big thanks to Barrabes for the shoes to help me along the way). 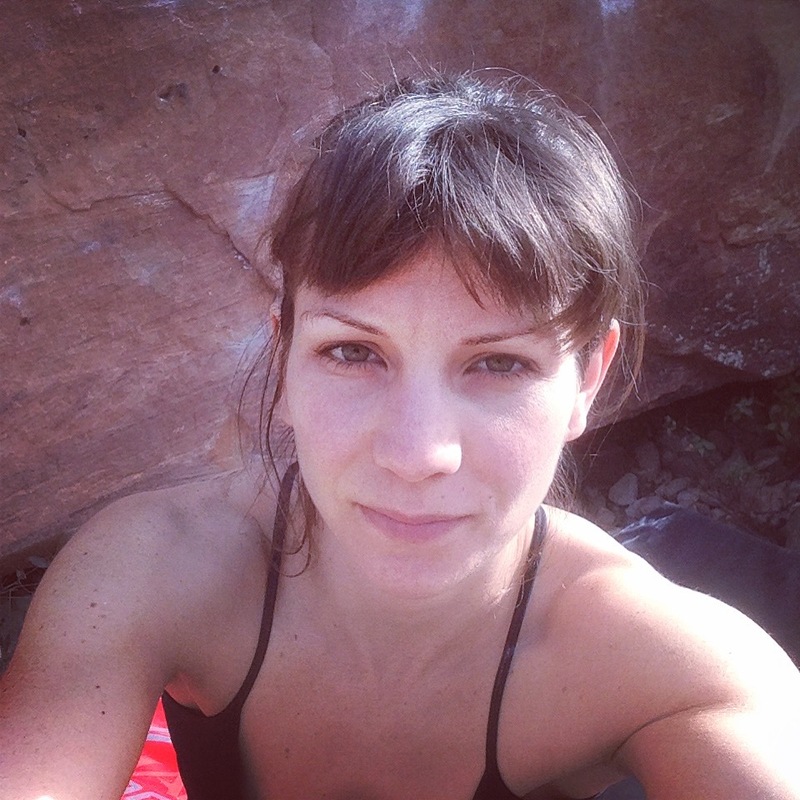 Sitting on the top of a boulder, sun streaking through the needled roof of abundant, consecutive pine trees in Albarracin, my friend lackadaisically commented, ‘It’s pretty amazing to see her try so hard.’ I asked, ‘What do you mean?’ and he replied, ‘to see someone trying really hard at their limit. Not many people can do that.’ I thought to myself, I want to be like that. Projecting – seeking conditions, waiting all day to try, fasting, binging, sleeping, resting, getting up at dawn or trekking lights in hand far into the night – to be fully taken in by a climb. Projecting hasn’t really ever been my thing – it’s never been practical because of where I lived or lack of transport. But since I started travelling 5 months ago,I met a few climbers who really inspired me. I realised by not projecting, I am just playing it safe. Those who are as obsessed by climbing as I am may feel the same – I always want to progress. We often wonder how to send hard grades and stare off into space mesmerized by the thought of sending something hard, but the reality is, are we trying? We don’t often give ourselves the chance to really, truly push our limits. I had to try, to find out what I was capable of. But, of course, there are downsides to all risks. Electric Copper 8A. Photo by: Lans Hansen. Special thanks to Barrabes for my sending Genius. For me, it was all about picking the right boulder. Imagine you’re in a bar. Your friend is late and you don’t have anything to do. Suddenly this gorgeous being walks in, searches for a seat, locks eyes with you and, then, oh yes, he’s coming right towards you. This is the moment I had with a boulder. The top just peaking from the zenith of three angled boulders, a cone-shaped granite style climb. With few holds and open handgrips it was obvious it would be tricky, confusing, with cryptic and marginal moves, incredibly easy to do wrong. My friend had pointed it out to me, her first description that it split her tip. The end was sharp she warned. But that’s just the type of project that you want, one that draws you in, totally captivates you. Not sending another project Born Into Struggle 7B+again. But sometimes projecting means not being able to do any moves in a session. A whole day of climbing wasted. But instead of focusing on the day-to-day gains, the meaning of each day has to become greater, it builds up to something more robust within yourself. But in such there is even more to loose. Rest days turn into meandering daydreams of fantasy, memorizing the moves over and over again. But the residual worry hovers, whispering that you might not send in the end, that it will all be for nothing. We all love our comfort zone. That’s the idea of being comfortable. We tell ourselves if we power scream or take one more session than normal, we are taking risks. But a real risk is not knowing. Not knowing after each day that you spend on something, if you will ever send it at all. For me, my opinion of projecting had already been tainted. I could only think of a few other times I tried projecting – battling a 7C route at Raventor that I spent so many sessions on that I started to dread going to the crag. I thought if I just tried enough times, I would do it. And it was true – I did finish the route, but I had so much pent up frustration that I didn’t feel much accomplishment even when I finished and moved straight on to another route with disdain. My climbing partner Zofia on Jack the Chipper, my unsent 7C project. Last year, I had attempted to do my first 7C boulder taking a few trips to Magic Wood, dedicating 4 – 5 climbing days to it. I ended up falling on the last hard move multiple times, thinking only then afterwards on the drive home to the UK that I probably should have reconsidered my beta. But really it was a mental block. When I got to the last hard move, I somehow knew I would fall. There was no physical reason why I couldn’t finish. Perhaps our emotions are far more connected to our performance than we might like to admit, making projecting an even more daunting endeavour. When you’ve worked yourself hard on a project, it can become emotional. Sometimes you have to step away. When I was projecting the 8A I took a few days off and started to think about the horrible session, walking away bleeding, frustrated broken. Talking to other friends who were projecting too, I discovered it was normal to want to give up, to reach a point when you feel success is nearing and all of a sudden the body shuts down. You feel weak and hopeless. This is when it’s hardest not to give up. But you can’t give up. The body is a machine, it will recover, and so will the mind. But just the suggestion of breaking through a LIFE GOAL, yes life goal, one I thought I could never achieve, meant I was also overtaken with excitement. The climb meant so much to me. I felt I had so much to loose. It didn’t help that I’d told everyone about the problem so the crowds were flocking. At first I had a weird sense of jealously, I don’t want other people working my boulder too. But then I realized that was completely absurd. Being selfish about projects is meaningless. We should all share in the success of others. The more the merrier. If anything, it may make our own projects seem more accessible. But the challenge in trying something at your limit often means the brain has to perform more than the body. After hearing about Rocklands for years, the land of bouldering visions, where everyone does their first something, I knew I had to go. But after a finger injury and pulled hamstring, I arrived my expectations low. I set out to try a 7C+ but without much ambition, more for the experience. But then when I happened on a 7C+ that was perfect for me and sent it, my perspective altered. It happened so quickly I couldn’t believe it. It made me wonder, what I was capable of? I had joked with a friend before this holiday, ‘Hah, no way I could ever touch an 8A, but maybe if I come back next year.’ I had originally given up on the idea of going to Rocklands this summer, wanting to postpone it to train even harder. There are so many voices telling us what we can’t do. I know I’m not every person, but I took a risk and it turned out for the best. I did my first 8A and progressed two grades! We live in a climbing world with voices from all angles telling us what to do and what not to do. That if we try hard we will get hurt (which of course is possible, but that’s not necessarily connected to grades), we will fail or we should just do mileage. At the risk of sounding too positive, I viewed projecting as an experiment, as a way to find out the truth about climbing, the body and it’s capabilities. It turns out the body’s limit can be pushed, be readjusted. Through recruitment, confidence, experience and mostly importantly having fun. So that’s why I say, shouldn’t we all be projecting? Isn’t better to just find out for ourselves what we really can do? Stay turned for my next blog, the nerdy day by day projecting process on how I sent my first 8A/V11. In light of today’s election results, I thought what better thing to do than distract myself and others with something other than political woes. Entertainment is our favourite form of escapism, so here is the first of my blogs about my recent trip to the Red River Gorge… Thanks for reading! This past year has been a true test of my relationship with climbing. 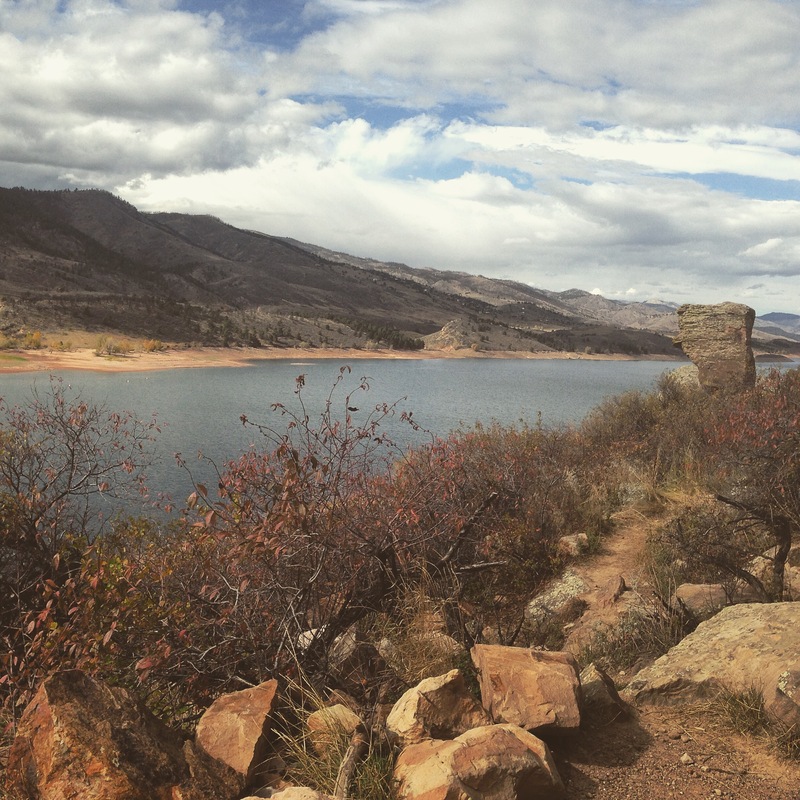 Just about exactly one year ago, I ended up in Colorado bouldering alone for the first time and came to the quick realisation that I had absolutely no idea how to do things on my own. I couldn’t figure out how to put my tent up (in my defense it was a complicated one), I ran over my groceries, I almost got a speeding ticket, and I drove over an hour to a mountain crag that is covered in snow that time of year. Things were not going well. But in the months that followed, with my minimal but newly found independence, I ended up tagging along solo on a climbing trip with some top climbers I didn’t know well, journeying to China all alone to climb with a crew I barely knew (but were awesome! ), and then my most recent affair – getting stuck in the Red River Gorge all by myself…with no climbing gear except shoes and a harness. It’s almost as if this year something in the universe has been pushing me to be that Strong Independent Woman I’ve always thought I was (but apparently wasn’t). And to answer for myself – How much do you love climbing? 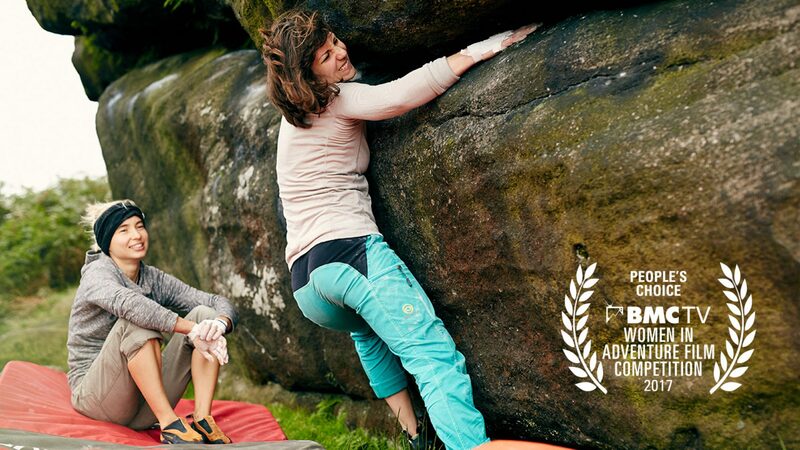 What does climbing mean to you? Moving away from the increasingly shrinking airport check in and my would-be-partner, I waved a panicked goodbye and ran to catch the plane. A hallow filled my stomach, regretting the missing rope and draws, but moreso because I still didn’t feel confident enough to do this alone, but I certainly didn’t have a choice. It might seem like a simple thing to go climbing alone to some people, but for me climbing is often a two-way relationship. 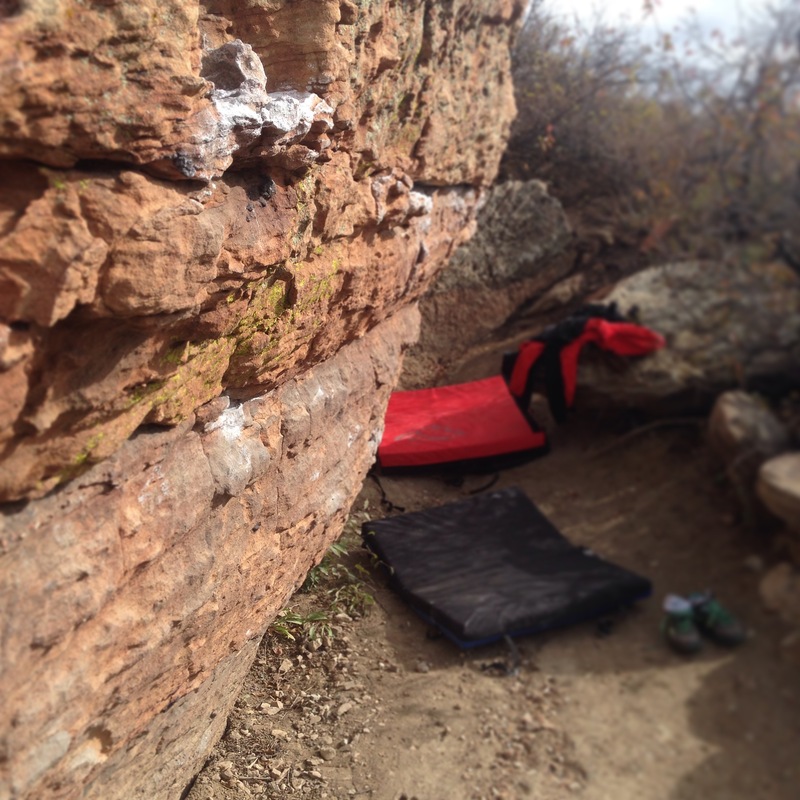 The trickles of climbing horror stories that we’ve all heard always left me apprehensive. I knew people went sport-climbing solo, but I rejected the idea long ago, knowing I could never put my life into a stranger’s hands. Unless forced! My belayer is my partner – friend, encourager, and support. Perhaps I’m too dependant, but when you have to trust them to keep you safe, I don’t feel I can climb with just anyone. ‘So’ Jerome asked over the phone, ‘Are you just going to stay in Florida then?’ But somehow my mouth said the words before I could think, ‘No, I’m sticking to the schedule. I’m going to go alone.’ Something inside made me want to be that person. The kind that could go places and do things alone. With only 24 hours from landing on USA soil, I packed in a hurry, eager to start the 12-15 hour drive. On the couch sat two sleeping bags and two roll mats innocently waiting for me. I packed them both, just in case. It was past 10pm when I finally arrived to the Red. Slade, Kentucky, the land of Daniel Boone, rattle snakes, and more than 100 sandstone arches. I followed directions the old fashioned way, turn by turn, sent via text from a friend of a friend of a friend, as there’s no service in most of Lee County, Kentucky. ‘Just meet me at Koops gas station,’ this friend of a friend of a friend said. ‘I’ll be in the black truck.’ I waited at the eccentric gas station, with four small upright rectangular pumps, each dolling out only one kind of gas each at different prices.